Happy Monday! I'm linking up today with The Blended Blog to share spring foods. 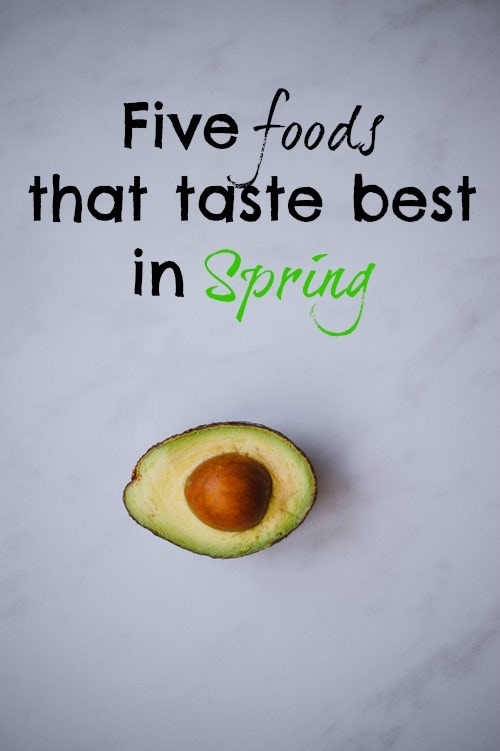 I was a little stumped when it came to this link up, as there really isn't a food that screams "spring" to me. Except maybe deviled eggs on Easter. I did a little research, and came across an article listing the five foods that taste better in the spring than any other time of the year. I was surprised to see avocado's and strawberries, because those feel like summer food to me. Also included were tomatoes, artichokes, and asparagus. 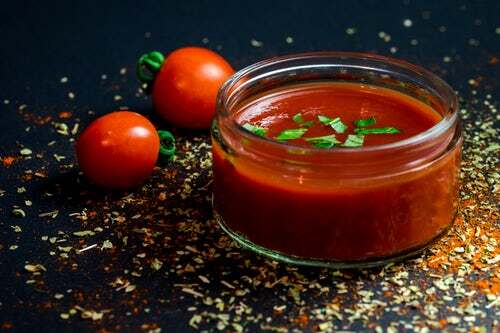 Since tomatoes were on the list, and spring is still a little chilly around here, I decided to share my sister-in-law's yummy and super easy Cream of Tomato soup. I've modified the recipe to cook in the crock pot, because I'm all about easy when it comes to the kitchen. Add above ingredients to crock pot and cook on low for 3-4 hours, or high for 1 hour. Once cooked, use immersion blender to puree the soup. SLOWLY heat 2 cups heavy whipping cream over low heat until hot, but not to boiling. Add a pinch of baking soda to the cream, and then mix with tomato puree. Garnish with basil. Note: the key is to get the cream as close to the puree temperature as possible, to stop the cream from curdling when mixed together. 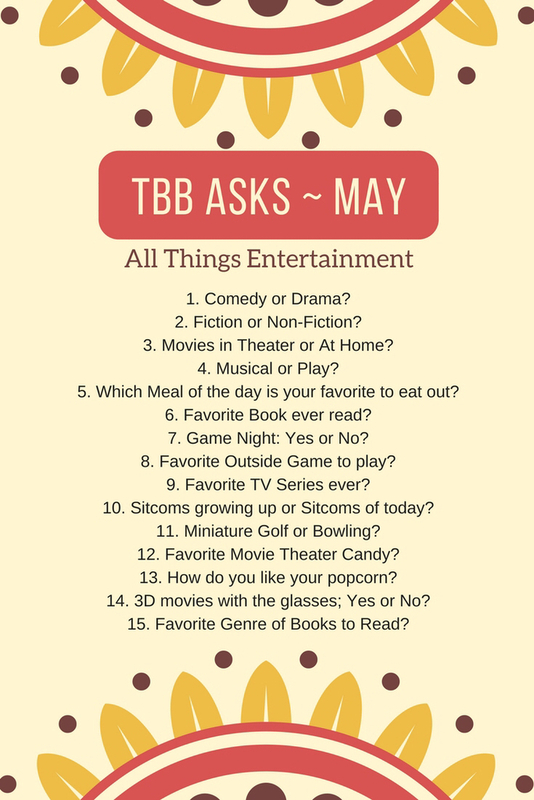 Be sure to come back next Monday for May's TBB Asks: All Things Entertainment. I'm never good at picking produce when it's in season. I want what I want when I want it! Haha. Although we do pay into a CSA program so we get a delivery of seasonal produce. That's definitely help! What a great idea for a post and super yummy soup recipe. My boys would love this! Happy week ahead! Hopefully in less than a month we will have some seasonal fruits like strawberries and fresh from the garden lettuce and radishes and soup will be a winter memory! Although yours does look delicious. I always forget to use my crock pot once it gets warmer, but this is a fabulous idea, Lana!! I agree with strawberries because I only like them in June. I mean, I love them in general, but when you eat them freshly picked, there's nothing else that compares! And your soup looks like it tastes fantastic in the spring! Anything made in a crock pot is right up my alley! This weekend I saw the funniest cocktail napkin, it said "Why can't one of those DIY girls figure out how to make wine in the crock pot? It's like they're not even trying!" Hahahahaha! That cracked me up! Strawberries are definitely Springtime fare around here. We went and got our first full flat Saturday. They're all gone already! Love tomatoes, but not avacado...now way! I have never made homemade tomato soup! I gotta try this. I used to have a homemade tomato soup pinned and the person deleted their blog, so I no longer have the recipe! I am SO, so sad!! I am going to give your SIL's recipe a try soon!